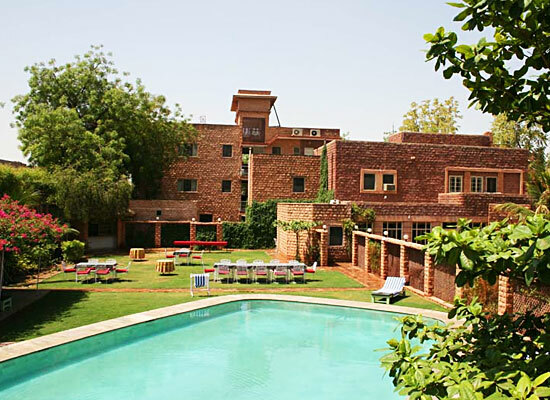 "One of the best heritage hotels in Jodhpur, Karni Bhawan was originally a red sandstone bungalow that was constructed during the 40's. The property has been tweaked in such a manner that it now meets all the requirements of a discerning travelers at the same time keeping its royal elegance completely intact. 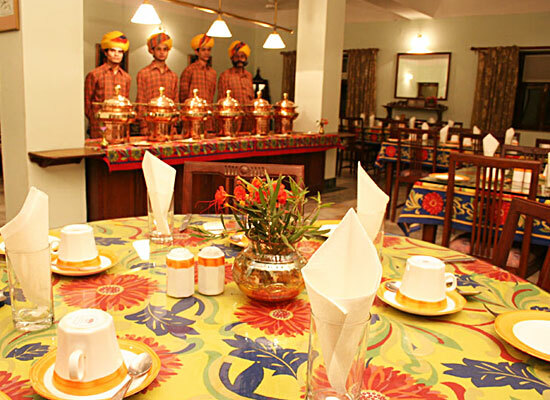 The lush lawns become a wonderful; sight for the guests who have a wonderful stay, amid world-class comforts and enjoying impeccable Rajasthani hospitality. The hotel in 1986 had 12 rooms that were expanded to 31, in the year 1994. The stylish modern rooms have a warm ethnic decor. The food served at the restaurant is sumptuous. Karni Bhawan was the residence of the one-time Jagirdars of Sodawas, Bhati Rajputs of the Lunar dynasty. 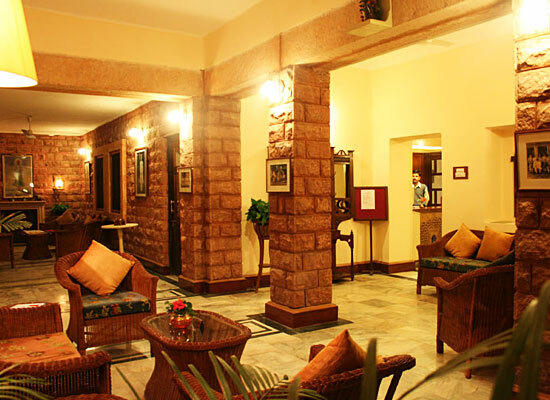 The structure, made of red sandstone was a bungalow erected in the 1940s, and has undergone renovations to meet up to the requirements that the modern day travelers are so used to. 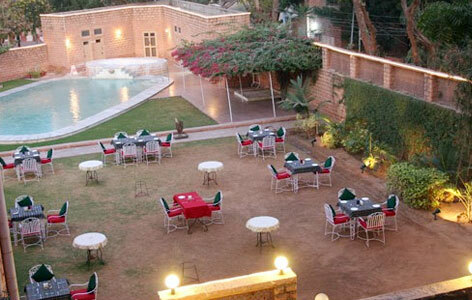 Hotel Karni Bhawan has 31 luxury air conditioned rooms and suites for accommodating the royal guests. 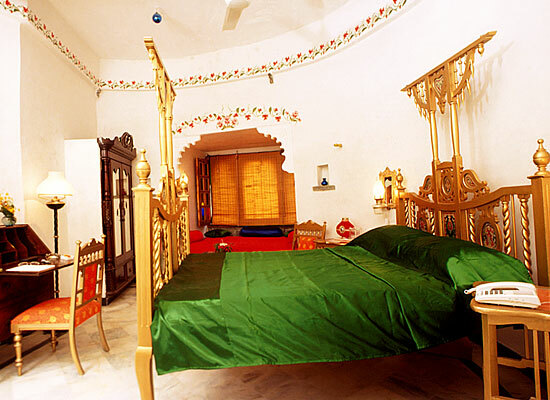 All the rooms are decked up in ethnic designs commemorating the Rajasthani culture of royal festivity themes. All the rooms have modern attached baths with running hot and cold water all round the clock. Karni Bhawan has a brilliantly laid mutlicuisine restaurant which offers delectable dishes from Indian, Continental and Chinese cuisines. You can also order food from other cuisines but that should be done well in advance. Jodhpur is a favorite tourist spot in Rajasthan as you can get a glimpse of monumental mansions like Osiyan Temple, Umaid Bhawan Palace, Mehrangarh Fort and Jaswant Thada. Come to the spot and get the flavor of royal presence in an arid desert state.